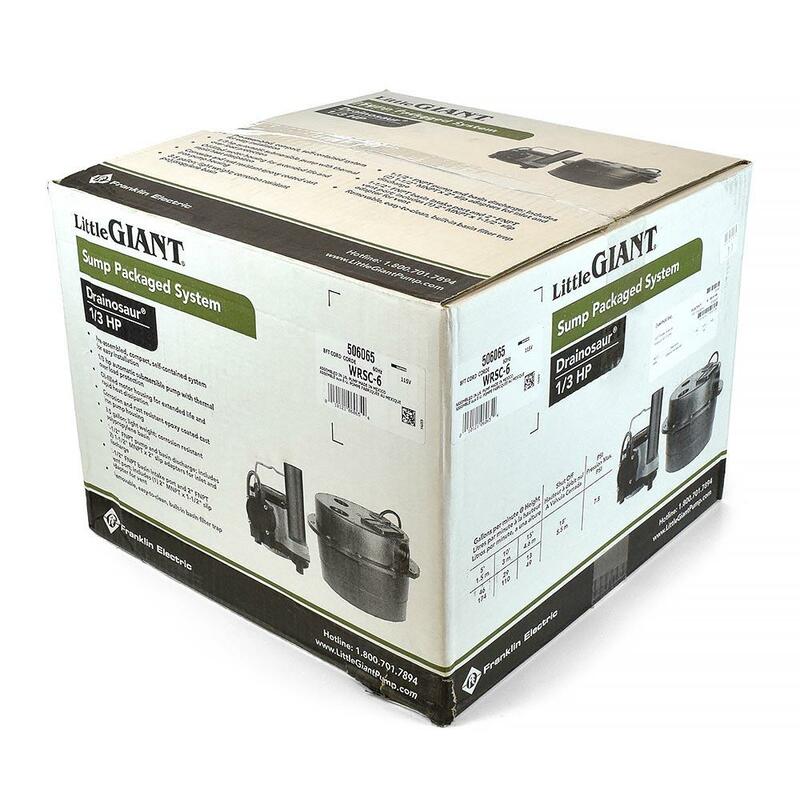 The 506065 from Little Giant is a Drainosaur Compact Water Removal System w/ 9' cord, 3.5 gallon capacity, 1/3HP, 115V. Tank has 1-1/2" FNPT side intake port, 1-1/2" FNPT top discharge port, and a 2" FNPT top vent port. Includes an easy-to-remove filter trap. When in automatic mode (default), the 6-CIA-ML pump has "On" level of 4"-7" and "Off" level of 1"-3". Little Giant WRSC-6 Drainosaur Water Removal System removes water from laundry trays, lavatory sinks, wet bar sinks, dehumidifiers, air conditioners (condensate), water softeners, etc. WRSC-6 model installs above the floor level, so there's no need to dig a sump.